"Whilst we were exhibiting at EXPO CHICAGO we used The Conservation Center's services for some emergency restoration. They could not have been more professional, helpful and understanding to our needs. I cannot recommend them more highly." "We are proud of our exclusive partnership with The Conservation Center to provide conservation services for our exhibitors. Their attention to detail and professional services are unmatched in the field and it is an honor to be working closely with their extraordinary team each year." "The Conservation Center worked quickly and professionally during EXPO CHICAGO this year and made us feel extremely comfortable. The Conservation Center was upfront and honest about the work, the price, and the return date, and everything happened seamlessly. As a result, we were able to get our art back in time to sell it on opening day. We’d certainly use The Conservation Center again, and we'll be sure to recommend them to our clients in the future." "The Conservation Center’s recommendation to clean the Helen Frankenthaler painting and refresh the mat with new linen yielded impeccable results, and we very much appreciated the expert analysis and advice provided by The Center’s team. With their guidance, we did not compromise the value of the canvas and it was brought back to its original vibrancy. The attention to every detail from analysis to conservation, shipping and handling of our painting was extremely professional and knowledgeable. We look forward to further collaborations with The Conservation Center’s team." "A huge thank you to The Conservation Center’s staff for the superb job on the conservation on our Kutani bowl. I kept looking at it throughout the day, and couldn't believe it was the same bowl I brought to you in many, many pieces a few months ago. I never expected the repairs and inpainting to be so seamless with the original." "The Conservation Center has proven to be an invaluable resource restoration of artworks in our collection. I appreciate The Center’s professional courteous service as well as its expertise. 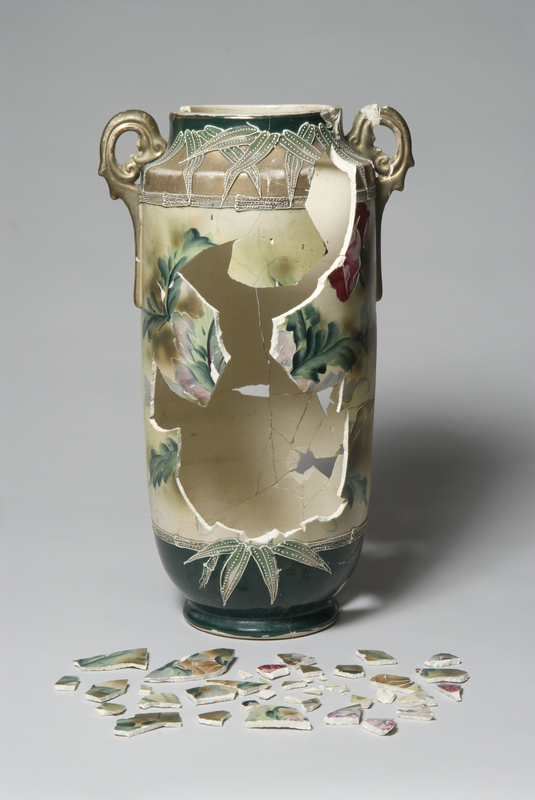 There is a great comfort level when placing valued objects into The Center's capable hands." "I would like to congratulate your team on a really fine job. The cleaning and varnishing has made the picture come alive again with all the detail, rich colors and tones restored … An outstanding job was carried out in stabilizing and repairing the original frame. We are very pleased with the work done." "Recently during A claim we had a need to restore fine arts that had been damaged by water. We used The Conservation Center. The insureds, as well as Westfield and their agent, were extremely pleased with the restoration work! ... This sort of restoration takes some time, but it is well worth the investment when dealing with fine art."